It was not peaceful near Donetsk and Horlivka. Pro-Russian militants continue to violate a cease-fire in the antiterrorist operation (ATO) area in Donbas. Since the beginning of the day the separatists have opened fire on ATO positions 15 times, the ATO press centre has said on Facebook. "It was not quiet near temporarily occupied Donetsk and Horlivka," the HQ said. 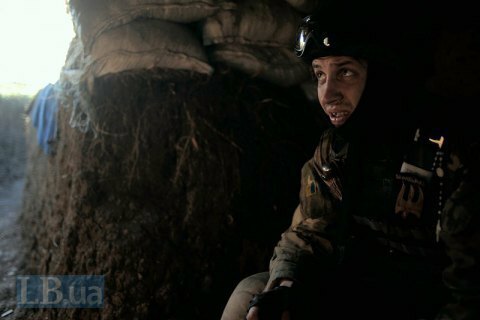 The militants carried out aimed fire with mortars and heavy machine guns on the ATO forces near Pervomayske. Various grenade launchers were used near Maryinka and Avdiyivka. Small arms were shot at Ukrainian servicemen's fortifications near Opytne and Pisky. Grenade launchers were used against ATO troops near Novhorodske and Luhanske. A sniper was spotted in Mayorsk. Two Ukrainian servicemen have been wounded in Donbas over the past day.